Soft traditional Italian shaving soap scented with natural bay laurel extract. 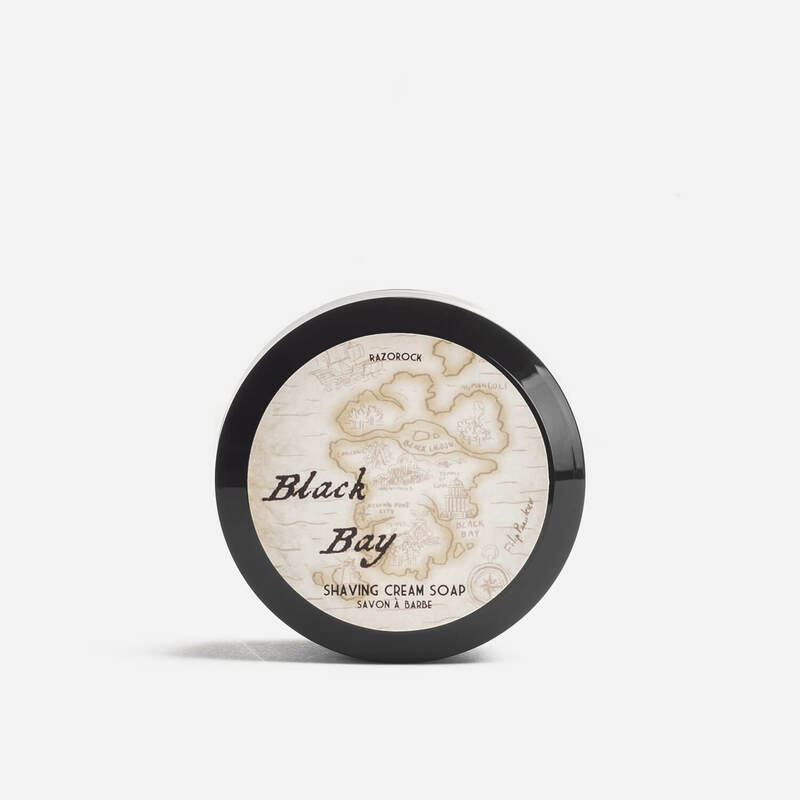 A traditional Italian shaving cream soap scented with RazoRock’s Black Bay fragrance, which uses natural bay laurel extract to give the soap a sweet scent with a touch of spice in the background. The consistency of the product sits between a cream and a soap, so it could be described as a hard cream or a soft soap. The Black Bay Shaving Cream Soap uses RazoRock’s ‘Super Formula’ enriched with shea butter, argan oil, aloe vera and lanolin. The Black Bay cream soap also includes vegetable charcoal in its formula, which has detoxifying properties, and this also gives the soap a deep green colour.